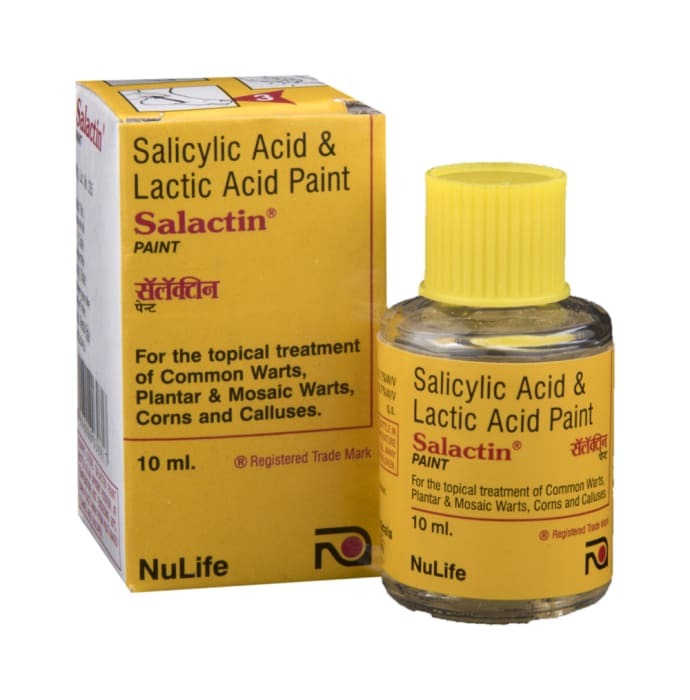 Salactin solution is a mixture of Salicyclic acid and Lactic acid. Salactin Solution removes corns and warts quickly, painlessly without scarring the skin. Salicyclic Acid has keratolytic property, it brings about lyses i.e. breakdown of keratin layer. 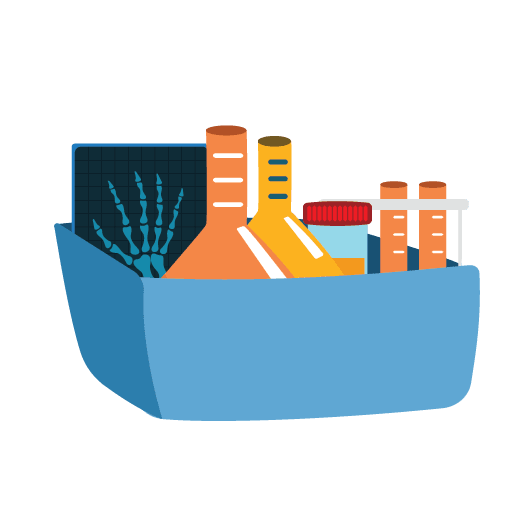 Lactic Acid enchances availability of Salicylic Acid from the dried collodion by helping to break down the surface of the skin. 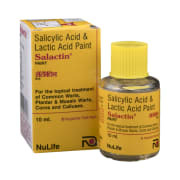 Salactin Paint is suitable for use by children, adults and elderly. 1. Soak the affected part in warm water for five minutes and dry with your own towel. 2. Rub away the softened skin gently, using a pumice stone or manicure board. 3. Apply Salactin solution to the affected part only, using the applicator, which is attached to the bottle cap. 4. Allow each drop to dry before the next one is applied. Guard against Salactin Paint spreading to the normal healthy skin during application. Any medication spreading to the surrounding skin should be wiped off using cotton wool. A licensed pharmacy from your nearest location will deliver Salactin Paint. Once the pharmacy accepts your order, the details of the pharmacy will be shared with you. Acceptance of your order is based on the validity of your prescription and the availability of this medicine.